The news that a-ha will be performing their debut album Hunting High And Low live was unexpected. Magne Furuholmen, Morten Harket and Pål Waaktaar-Savoy have never been afraid of revisiting their collective past – the MTV Unplugged tour in early 2018 more-than demonstrated that their songs could be given new settings and remain as impactful as ever. But taking on a whole album – one so well known – and staying faithful to its spirit is audacious. Of course, a toe was dipped in this water in October 2010 when the album was performed just twice: first at Oslo’s Konserthus and then at London’s Royal Albert Hall on the 25th anniversary of “Take On Me” entering the British charts. Now, though, a-ha are marking the 35th anniversary of the release of the original version of “Take On Me” – issued on 19 October 1984 to reputed sales of just 300 copies – with a tour celebrating the single and the album which followed it. The fresh “Take On Me” was released in the UK in April 1985 to little fanfare. In America, however, the single’s profile was helped by a striking promotional video which was first seen on TV screens in May. The single was reissued in the UK during September and, finally, the British hit came. Hunting High And Low was in America’s shops in June and in Britain’s during October. a-ha had arrived. Two years earlier, the three members of a-ha were making demos on a four-track TEAC reel-to-reel tape recorder in a holiday cabin owned by Pål’s family in Nærsnes, near Oslo. Hunting High And Low’s credits did not hide some of the twists and turns. The new “Take On Me” and “The Sun Always Shines On T.V.” were produced by Alan Tarney. The album’s “Love Is Reason” had a joint production credit of John Ratcliff and a-ha. The other seven tracks were produced by Tony Mansfield. Eight of the ten tracks were noted as having been remixed by John Ratcliff. Despite the various participants, the album articulated a clear, cohesive vision – it couldn’t fail to: the songs saw to that. But there in black and white was evidence for the final part of the “long and bumpy ride” referred to by Pål. It began when Pål and Magne first arrived in London from Norway in 1982 to try and make their way in Britain’s music business. They had left the band Bridges, whose other members did not want to take the chance on what seemed a doubtful adventure. After six months, Pål and Magne were back in their home country where, in September 1982, they united with Morten, the former singer of the soul-blues band Souldier Blue, to begin recording demos of a series of new songs as a-ha. Morten and Pål came to London in January 1983 and a period of coming, going and regrouping followed. United in London late that March, the trio looked for a studio where they could record a new set of demos and found the South London set-up Rendezvous, which was run by John Ratcliff – who quickly realised this was a band with potential. Enormous potential. They would sporadically record at Rendezvous from April 1983 to October 1984. The pieces really started falling into place after a-ha played special showcases at Rendezvous in June 1983 for prospective record labels. The strategy proved a winner and they signed with Warner Brothers that December. Their new label teamed them with producer Tony Mansfield, with whom they recorded the first version of “Take On Me” and tracks for their prospective debut album. However, when the single was issued to almost-no sales, a rethink was needed. a-ha knew “Take On Me” was the right song, so British music business veteran Alan Tarney was brought in. Their new producer helped nail “Take On Me” by going back to feel of an earlier demo version. And with the assistance of that video…what came next is history. From the sessions with Mansfield and Tarney, and with Ratcliff’s input too, a-ha had what they needed for their debut album. Ten songs. Ten perfect songs capturing who they were and, to a large degree, still are. Ten songs marrying yearning melodies and drama: immediacy and intimacy. Looking into how Hunting High And Low evolved reveals that Magne, Morten and Pål must have unconsciously known that this was no fly-by-night undertaking. The songs went through changes, were reconfigured and re-recorded to get them just right. Indeed, “Take On Me” was originally titled “Lesson One” and had first been taped in Norway in late 1982. In Summer 1983, it was demoed at Rendezvous. Then it was recorded for release with Tony Mansfield and subsequently re-recorded with Alan Tarney. Yes, there were uncertainties. But the pushing, the rethinking and the self-confidence ensured that a-ha would not have “one and only shot.” When they play the album live in 2019, it is about more than revisiting ten favourite songs. It is also about tapping into the sense of adventure which brought a-ha to London, recognising that they have never stood still. “Take On Me” and Hunting High And Low remain as vital as when they were recorded and released. The live shows will show why. For the full story of the Hunting High And Low album, a-ha’s early years and “Take On Me”, see the 30th Anniversary Edition released in 2015. 1984, May: a-ha record most of the Hunting High And Low album over eight weeks. 1984, October 19: First release of “Take On Me”; it sells 300 copies and peaks at #137. 1984, October 20: a-ha’s first television appearance. They perform four songs on the Norwegian show “Lørdagssirkus,” but only “Take On Me” (in its early version) is broadcast. 1984, November 1: “Take On Me” debuts on the official Norwegian chart, VG-Lista. 1985, July: “Take On Me” debuts on the US Billboard chart at #91, making a-ha the first Norwegian artist to enter the US charts. Concurrently, the video is #4 in the US videos chart and one week later, the Hunting High And Low album enters the US Billboard chart at #167. The album and single continue to climb the charts. 1985, October 9: a-ha film “The Sun Always Shines On TV” video at Saint Alban the Martyr Church and Udney Hall Gardens at Teddington, Middlesex, in England, with director Steve Barron. That evening, a-ha are notified that they achieved #1 in the following week’s US Billboard chart. 1986, January 18: a-ha win two awards at the Norwegian award show “Spellemannspris 85” in Oslo: “Best Album” and “Årets Spellemann”. 1986, January 19: a-ha achieve their first #1 hit on the UK singles chart with “The Sun Always Shines On TV”. Meanwhile, they continue working on their second album at a West London studio. 1986, February 25: a-ha are nominated for the “Best Newcomers” Grammy award. Their first live appearance on TV, they perform “Take On Me” and “The Sun Always Shines On TV”. 1986, June 3: a-ha kick off their world tour in Perth, Australia, performing their first live concert. This event marks the first of nearly 150 concerts for this tour. The backing band includes Leif Karsten Johansen (bass), Michael Sturgis (drums), and Dag Kolsrud (keyboards). The forthcoming Scoundrel Days album is several tracks short; therefore, they write “I’ve Been Losing You” and “Maybe Maybe” in Sydney. 1986, September 5: a-ha are nominated for ten MTV Music Video Awards in Los Angeles. They accept the “Best Concept”, “Best New Artist”, and “1986 Viewers Choice” MTV awards remotely from the backstage of their Houston concert. a-ha also win the “Best Video” Golden Europa award in Germany for “Take On Me”. 1987, January 24: a-ha win three awards at the Norwegian award show “Spellemannspris 86” in Oslo: “Best Pop”, “Best Video”, and a special honour award. They perform “Manhattan Skyline”. 1987, August 2: Morten accepts the Peer-Gynt award at Vinstrahallen in Norway, on behalf of a-ha. This award is presented to recipients who have promoted Norway abroad. 1987, August 27: a-ha perform “The Living Daylights” at the “Berolina”. They receive the “Best international group” award. 1987, October 18: a-ha participate in the Norwegian “TV-Aksjonen: Hjerter for livet”. An interview with the band is broadcast, and they perform “Cold River”. a-ha receive the Australian “Most popular international act” Count Down award; they accept it remotely via a video greeting from England, where they are working on their forthcoming album. 1988, March 19: a-ha kick off their second world tour, which starts and ends in the UK and includes 80 concerts in nine countries. 1988, May 3: a-ha film “The Blood That Moves The Body” video at the Regina Hotel and Rue de Rivoli in Paris, with director Andy Morahan. 1988, August 1: a-ha film the “Touchy!” video, featuring synchronized swimmers, in Deauville, France, with director Kevin Moloney. 1988, November 21: a-ha film the “You Are The One” video in New York, with director Damon Heath. The song is released as a single and promotion follows on various UK and German TV shows through early spring 1989. 1990, August: a-ha complete their studio work in London for the East Of The Sun, West Of The Moon album, produced by Ian Stanley and Chris Neal. Guest musicians include Norwegians Per Hillestad and Jørun Bøgeberg. 1990, September 15: a-ha film the "Crying In The Rain" video in Montana, US, with director Steve Barron. 1990, October 9: a-ha film the “I Call Your Name” video in London, UK, with director Lauren Savoy. 1991, January 14: a-ha kick off their tour at the Oslo Spektrum in Norway. a-ha are the first act to perform at the new venue. The new backing band includes Jørun Bøgeberg (bass), Per Hillestad (drums), and Sigurd Køhn (saxophone). 1991, January 26: a-ha perform at the “Rock in Rio II” festival at the Maracana Stadium in Brazil, where they set a world record: largest paying audience with 198 000 people. This feat earns a-ha a spot in the Guinness Book of World Records. The “Early Morning” video, directed by Michael Burlingame, features the band during the Rock In Rio II festival. 1991, June 18: a-ha return to London to begin work on a compilation album. The new single “Move To Memphis” is planned for release in October, with a video directed by Erick Ifergan. 1991, November 4: Release of the Headlines And Deadlines - The Hits Of a-ha album and a greatest hits video of the same title. 1991, December 2: Morten accepts a BMI Award in London on behalf of a-ha. They win an award for one million radio plays of “Take On Me” in America. 1992, autumn: a-ha rent Studio B at Prince's Paisley Park Studios in Chanhassan outside Minneapolis to record the Memorial Beach album. They work with producer David Z. 1993, May 12: a-ha perform their new single “Dark is the Night” at the World Music Awards in Monaco, Monte Carlo. They win an award for best-selling Norwegian artist. They film two videos for “Dark is the Night”, with director Erick Ifargan. One of the videos is banned by MTV America because it is ‘too disturbing’. 1993, August 30: a-ha film the “Angel” video on the Silvertown Bridge in the Docklands, East London and at a house outside London, with director Howard Greenhalgh. Two versions of this video are produced. 1994, January 12: a-ha record the official Paralympics song, “Shapes That Go Together” at a studio near Oslo. They film the “Shapes That Go Together” video one month later, with director Barry Maguire. 1994, March 10: a-ha perform “Shapes That Go Together” for the opening ceremony of the Paralympics at Håkons Hall in Lillehammer. 1994, June 19: a-ha play their last concert for the next several years at the “White Nights Festival” in St. Petersburg. The festival is organised to raise money for an AIDS campaign and also to re-open St. Petersburg as a cultural centre. 1994: After unsuccessful attempts at recording demos, a-ha disintegrate into solo projects. 1998, summer: a-ha meet up again to discuss their future, after being asked to play at the Nobel Peace Prize Concert. They are ready to re-unite and they record “Summer Moved On” in November. a-ha reveal their plans for a future album and tour at a press conference at the Frognerseteren restaurant in Oslo on December 4. 1998, December 11: After several hours of intense rehearsal, a-ha re-unite on stage at the Nobel Peace Prize Concert in Oslo, where they perform “Summer Moved On” and “The Sun Always Shines On TV”. The audience’s response is overwhelming. 2000, February 25: a-ha perform their new single “Summer Moved On” at the Norwegian Award show “Spellemannspris 99” in Oslo. They film the “Summer Moved On” video in Cádiz, Spain at the beginning of March, with director Adam Berg. 2000, November 24: a-ha release the video for ‘I Wish I Cared’. This video is the first web-based, fully animated flash music video to be released, narrowly beating Madonna’s video for this title. The video was created by Magne and director Henrik Haugen. 2001, March 2: a-ha perform “Minor Earth Major Sky” at the Norwegian award show “Spellemannspris 00” in Oslo and win the award for “Best Video” and again the special honour award. 2001, March 24 and 25: a-ha perform two concerts at Vallhall in Oslo to fans from 28 countries; the March 24 concert is broadcast live online and is viewed by millions worldwide. The concert is later released on DVD. 2001, December 11: For the second time, a-ha perform at the Nobel Peace Prize Concert in Oslo. They perform the songs “Hunting High and Low” and “Differences”. 2002, February 19: a-ha film the “Forever Not Yours” video, with director Harald Zwart. The song premiered online on a-ha.com four days earlier. 2002, June 8: a-ha kick off their new tour with a stadium concert at Ullevål Stadion in their hometown Oslo. To rehearse for this show, a-ha perform a private concert at the Oslo Spektrum to an audience of 800 people. The event is an “Afternoon High”, where several Scandinavian bands precede the a-ha gig. This event kicks off 44 concerts in 18 countries. The same backing band as the last tour supports a-ha for this tour. Lauren Savoy films the concert and footage appears in the “Did Anyone Approach You?” video, which she directed. 2002, July 8: The “Lifelines” single is released in Germany and other countries. For the video footage, a-ha purchased the rights to the Norwegian short film “Året gjennom Børfjord” by Morten Skallerud. Morten Skallerud shot the footage between 1987 and 1991, and won ten prizes for the film. 2003, March 17: a-ha begin promotion for the new live album How Can I sleep With Your Voice In My Head. “The Sun Always Shines On TV (Live)” is released on March 10 in conjunction with the video, directed by Lauren Savoy. 2004, May 7: a-ha announce a new worldwide deal with Universal Records. 2004, October 21: Jan Omahl’s book “The Swing of Things – 20 år med a-ha” is released in Norway. It includes a CD of unreleased demos of early songs. The same evening, a-ha attend the Norwegian Music Awards at the Oslo Spektrum where they receive a special prize. 2005, July 2: a-ha headline the German part of the Live8 concert; simultaneous concerts in London, Philadelphia, Paris, and Berlin are organised by Bob Geldof as a follow-up to Live-Aid. a-ha play “Hunting High and Low”, “Take On Me”, and “Summer Moved On”. 2005, August 27: a-ha play a free concert at Frognerparken in Oslo. The concert, sponsored by Hydro, is part of Hydro’s Centennial Festival. Between 120 000 and 150 000 people attend this free open-air concert at the most famous park in Oslo. After this concert, a-ha film the “Celice” video in Berlin, with director Jörn Heitmann. 2005, September 12: a-ha perform a concert in New York for the first time since 1986. The concert sold out in 52 minutes. 2005, October 29: a-ha play another concert for Hydro and their corresponding Centennial Festival at the Kölnarena in Köln, Germany. This event kicks off their European tour, which includes 23 concerts in eight countries. Before the concert in Vienna in November, a-ha film the “Analogue (All I Want)” video at Littlebrook Power Station in Dartford, Kent, UK, with director Howard Greenhalgh. 2006, January: “Analogue (All I Want)” debuts at #10 in the UK Singles chart on January 29. They appear at HMV on Oxford Street for a performance and signing on January 30. Fans queue outside the shop overnight to obtain a wristband guaranteeing them entry to the performance and signing. 2006, March 4: a-ha film the “Cosy Prisons” video at the Abbey Mills Pumping Station, Abbey Lane in East London, with director Paul Gore. 2006, October 30: a-ha receive the “Q Inspiration Award” in London. 2007, October 16: Morten and Magne attend the London BMI Awards at the Dorchester Hotel, where a-ha receive a multi-million performance award for "Take On Me"; this song was played more than three million times on the US airwaves since its release. 2008, May 19: Morten, Paul (with Savoy), and Magne perform a series of concerts featuring three solo sets (one set per band member). At the end of the solo sets, a-ha team up to perform two of their classics and two new songs from their forthcoming album. The first concert, a warm-up rehearsal for invited guests, takes place at the Rockefeller in Oslo. They perform three additional concerts there, before the final performance in this series at the Royal Albert Hall in London on May 24. 2009, March 25: After spending most of late 2008 in the studio working on the forthcoming album, a-ha return to touring with three concerts in São Paulo and Rio de Janeiro, Brazil and the Pepsi Music Festival in Santiago, Chile. The new backing band includes Karl Oluf Wennerberg (drums) and Erik Ljunggren (keyboards and bass). 2009, April 24: a-ha announce a surprise internet premiere of the new single “Foot of the Mountain” mere hours after the song was completed. 2009, May 19: While in Germany to promote the new Foot Of The Mountain album, a-ha film the "Foot Of The Mountain" video, with director Olaf Heine. For this round of promotion, a-ha perform at “Germany’s Next Top Model” in Cologne, “The Dome” in Munich, and at the Arqiva Commercial Radio Awards in London. 2009, August 2: Foot of the Mountain enters the UK album chart at #5. 2009, October 15: a-ha announce their intention to retire by the end of 2010, after their final upcoming world tour. Tickets for the final a-ha show at the Oslo Spektrum on December 4, 2010, are released for sale the next day, and sell out immediately. 2009, October 27: a-ha kick off the “Foot of the Mountain” tour in Cologne, Germany. This tour includes 18 concerts in eight countries, ending in Tokyo, Japan on November 25. 2010, March 1: At a press conference in Oslo, a-ha announce details about a stadium tour of Norway in August and September. Also in connection with the farewell tour, a-ha announce their intention to give support for new talent by granting four promising Norwegian artists/acts 1 million Norwegian Kroner each – giving away a total of €500.000 of the band’s own money. 2010, March 4: a-ha kick off their last tour “Ending On A High Note” at the sold out Luna Park in Buenos Aires, Argentina. The next concert is planned for Santiago, Chile, on March 6, but has to be re-scheduled for March 23 due to a devastating earthquake and damage in Chile.  2010, June 14: The worldwide premiere for a-ha's final single 'Butterfly, Butterfly (The Last Hurrah)' takes place on the Norwegian news site VG.no. 2010, July 12: Working again with director Steve Barron, a-ha film their final music video for the song 'Butterfly, Butterfly (The Last Hurrah)' near Brighton, UK. The video is premiered on MySpace on August 13. 2010, Summer: a-ha release deluxe remastered editions of their first two albums, "Hunting High and Low" and "Scoundrel Days". Both albums debuted in the Top 40 Billboard Internet Sales Chart, making this the first time a-ha enters the US charts in nearly 25 years. 2010, August 5: The best-of compilation '25', including 39 tracks spanning a-ha's career, is released in Norway and Germany, with releases in other countries to follow. 2010, August 21: a-ha's final stadium tour of Norway opens at Ullevaal Stadium in Oslo, with five additional stadium concerts to follow. The production is on a grander scale than any ever seen in Norway. Also on this day, the updated edition of Jan Omdahl's a-ha biography "The Swing of Things: 1985-2010" is released. 2010, October 4 and 8: a-ha perform their breakthrough album in its entirety, backed by a symphony orchestra, at Oslo Konserthus and Royal Albert Hall. The proceeds from the October 4 concert at Oslo Konserthus go to the charity organization Mercy Ships. 2010, December 3: An official fan party is organized by a-ha.com with over 1000 fans from 42 countries expected to attend. The party will be held in Oslo, Norway. 2010, December 4: The final a-ha show to end a beautiful and significant chapter in Norwegian music history is scheduled to take place at the Oslo Spektrum in Oslo, Norway. 2011, March 5: a-ha is awarded the Spellemann Award of Honor. Morten and Magne are present to accept the award. 2011, March 25: To celebrate the release of the 'Ending on a High Note The Final Concert' DVD, a-ha.com hosts a party in Berlin. Morten stops by the party for about 20 minutes, then guests have a special 'sneak peek' full screening of the DVD before its release, followed by an a-ha disco. 2011, March 25: A two-track CD single including the live recordings of 'Summer Moved On' and 'Scoundrel Days' from the forthcoming 'Ending On A High Note: The Final Concert' CD is released by Universal in Germany. 2011, April 1: 'Ending On A High Note: The Final Concert' is released, and is available in four formats: Blu-ray, DVD, Deluxe (2 CDs + DVD) and CD only. 2011, August 21: a-ha perform 'Stay On These Roads' during a national memorial service after the attacks on the executive government quarter and Utøya. The ceremony takes place at Oslo Spektrum. 2011, November 6: a-ha is among the first five artists to be inducted into the Norwegian Music Hall of Fame, located in Trondheim, Norway. There is an induction ceremony on November 6 at the Rockheim Museum in Trondheim. The purpose of the Rockheim Hall of Fame is to honor people who have contributed to the development and distribution of Norwegian popular music. To qualify for induction, the artist must have made their debut at least 25 years ago (1986). 2011, December 3: a-ha.com hosts a fan convention and party in Oslo on the anniversary of 'The Last Hurrah' fan party. Over 200 fans attend from 25 countries. Guest speakers at the fan convention are a-ha and Morten Harket drummer Karl Oluf Wennerberg and a-ha historian PA Stenersen. 2012, August 30: Stian Andersen's photo exhibition 'a-ha: The Photographs 1994-2010' opens at Stolper + Friends in Oslo. 2012, September 14-15: a-ha.com hosts an international fan convention and party in Oslo, coinciding with two of Morten's solo concerts. Guest speakers at the fan convention are Erik Ljunggren and Dan Sundhordvik - backing musicians for a-ha, Morten and Magne; James Maillardet, production manager for a-ha and Morten; and Harald Wiik, business manager for a-ha and Morten. Over 700 fans from around the world attend the convention and party. 2012, November 6: a-ha were honoured to receive The Norwegian Royal Order of St. Olav, which is awarded for distinguished services for Norway and mankind. Each of the three members of a-ha, Morten Harket, Magne Furuholmen and Pål Waaktaar Savoy, after a proposition by Music Export Norway, received this Royal Order for their outstanding musical contribution. The award was presented at an official ceremony at Gamle Logen in Oslo on November 6th. 2013, February 27: Stian Andersen's photo exhibition 'a-ha: The Photographs' opens at London's The Strand Gallery. Stian is present at the private view, and New York harpist Erin Hill performs during the event. Magne is also on hand, to say a few words about the exhibition and Stian's work with a-ha. 2013, June 10: As is common practice, after receiving The Norwegian Royal Order of St. Olav, the members of a-ha are been granted an audience with His Majesty King Harald of Norway.  2013, September 16: a-ha.com dedicates September 16th as a special day to celebrate the song that started it all. As a very special part of our day-long celebration, Magne held his very first Live Q&A on the a-ha Facebook page. 2013, October 15: Morten and Magne attend the BMI London Awards at The Dorchester Hotel, where a-ha are awarded a Million-Air Award for 'Take On Me', which has had four million combined radio and television performances in the USA. 2013, October 24-25: a-ha.com hosts an international fan convention and party in Oslo, again coinciding with two of Morten’s solo concerts. Guest speakers are a-ha’s first manager, Terry Slater; their current manager, Harald Wiik; their official photographer Stian Andersen and his colleague Erik Treimann, who together directed, filmed and edited Morten Harket’s latest music video; Norwegian singer Tini, who is Magne’s protégé from The Voice; and Magne himself. Over 500 fans from around the world attend the convention and party. 2013, December 4: At a press conference in Rio de Janeiro, a-ha announce that they have been invited to perform at the Rock In Rio festival for a second time, on September 27, 2015. This announcement sparks much speculation about a possible band reunion. 2015, March 25: At a press conference in Berlin, a-ha announce a reunion and a new album and tour. The album is called ‘Cast In Steel’ and is a-ha’s 10th studio album – their first in six years. 2015, April 18: A special ‘Take On Me’ 30th Anniversary picture disc is released on Record Store Day. Only 6,500 copies are made available, and sell out quickly. 2015, May 25: ‘Hunting High and Low’ and ‘Scoundrel Days’ are reissued on vinyl. This is the first time these albums have been back on vinyl in over 25 years, they will be pressed on 180gm black vinyl. 2015, July 3: a-ha release 'Under The Makeup', the first single from 'Cast In Steel'. The song was written by Paul and produced by Paul and Erik Ljunggren. 2015, August 25: The Music video for 'Under the Makeup' premieres on VGTV in Norway. The video for ‘Under The Makeup’ was directed by Bode Brodmueller, and along with the band members, features actresses Frida Farrell and Sofie Gråbol. The shoot took place in Telemark, Norway over three days in early August. 2015, September 4: a-ha release 'Cast In Steel', their 10th studio album. According to a press release about the album, "'Cast in Steel' picks up where their last studio album left off – this is the sound of band relaxed and refreshed, at ease with themselves and ready to take on the world once more." 2015, September 9: a-ha holds a 'Cast in Steel' release party and rehearsal concert at Union Scene in Drammen, Norway. Guests for this exclusive event include fans invited by a-ha.com via a Platekompaniet album signing event, as well as family and friends of the band. 2015, September 18: a-ha release 'Hunting High and Low: 30th Anniversary Super Deluxe Edition'. 2015, September 24: a-ha kicks off the ‘Cast In Steel’ tour at Luna Park in Buenos Aires, Argentina. The band receives an enthusiastic welcome back from fans they meet during their stay in the city. 2015, September 27: A heavy rain is falling on Cidade do Rock when a-ha take the stage at the Rock In Rio festival. Around 90,000 people fill the festival grounds for the final two acts: a-ha and Katy Perry. The festival is streamed on the Internet by AOL in partnership with LiveXLive, and fans around the world watch the broadcast. 2015, October 15: The South American leg of the 'Cast In Steel' tour concludes in Curitiba, Brazil. 2015, October 16: On the 30th anniversary of ‘Take On Me’ topping the Billboard chart in America, NRK (Norwegian Broadcasting Corp) has some special programming in honor of the milestone, including concert recordings, cover songs, and documentaries. 2015, October 23: To mark the 25th anniversary of their fourth studio album 'East of the Sun, West of the Moon', a-ha release a series of remastered and expanded album reissues. These include 'East Of The Sun, West Of The Moon', 'Stay On These Roads' and 'Memorial Beach'. 2015, December 11: a-ha are among the performers at the Nobel Peace Prize concert at Telenor Arena, and for the first time ever the concert is live streamed on YouTube. The band plays five songs - more than any other artist that evening - and are joined by Kygo for the concert finale, 'Take On Me'. 2016, January 6: a-ha is nominated for a Spellemann in the ‘Pop Group’ category. 2016, March 6: The 'Cast In Steel' tour kicks off again in Yekaterinburg, Russia. 2016, March 24: a-ha perform a live In Concert for Radio 2 at the BBC Radio Theatre in Central London. Earlier in the day, listeners hear two exclusive tracks from a-ha’s sound check in the BBC Radio Theatre on Ken Bruce’s Radio 2 show, plus an interview ahead of the evening’s performance on Simon Mayo’s Drivetime Show. The band also joins Jo Whiley for an exclusive ‘Ask a-ha’ video Q&A from the stage. 2016, April 18: Once again participating in Record Store Day, a-ha releases an exclusive 5 track live 12” EP containing 5 previously unreleased tracks from the recording of the 'Live in South America' film in Porto Alegre, Brazil in 1991. 2016, April 28: Photographer Stian Andersen opens the exhibition 'Kollekt: Icons' at Gallery Popop in Oslo. On display are iconic photographs of a-ha amongst other great names like Prince, David Bowie, Lemmy, Iggy Pop, James Brown and many more. 2016, April 30: a-ha.com hosts an International a-ha Fan Weekend in Oslo, to coincide with a-ha's concerts at the Spektrum. Guest speakers at the fan convention are Viggo Bondi, Øystein Jevanord, Anneli Drecker, Even Ormestad and Tonje Waaktaar Gamst. The convention also features an exclusive music video premiere for Paul's solo project, Waaktaar featuring Zoe Gnecco, called ‘Beautiful Burnout’. Fan party guests receive an exclusive preview of the upcoming a-ha music video 'Objects In The Mirror'. 2016, May 7: a-ha performs their final 'Cast In Steel' concert at Koengen in Bergen, Norway. The concert ends with fireworks and a special thank you to the crew and production team by Magne on behalf of the band. 2016, May 11: The band releases the music video ‘Objects In The Mirror’. The video had its premiere during the fan convention in Oslo, and is intended to be a gift to all the fans; it is a condensed version of the visuals from the 2016 live shows, and was directed and produced by Jonas Bjerre. 2016, May 26: a-ha and Norsk Hydro make it possible for fans to experience a virtual reality 360 degree concert via an app on Google Play and iTunes. 2016, December 15: a-ha announce that they will make a live acoustic album and concert film from a series of intimate performances to take place in June 2017. In addition, the band announce plans to take this special acoustic show on the road in early 2018. 2017, June 22 & 23: a-ha perform two acoustic sets in front of an audience of 250. The performances are recorded to produce the release of an MTV Unplugged album and DVD/Blu-Ray later in the year. There are several guest performers, including Ingrid Helene Håvik, Lissie, Ian McCulloch and Alison Moyet. 2017, September 2: a-ha unveil the cover art of a-ha's MTV Unplugged live album on social media. The design incorporates photography by Just Loomis and artwork by Matthias Bäuerle of Season Zero. 2017, September 10: a-ha release the first song from the MTV Unplugged live album, 'This Is Our Home'. Three additional tracks were released on subsequent Fridays leading up to the album release. 2017, September 12: a-ha present 'MTV Unplugged - Summer Solstice' to the media via a press conference at the Norwegian Embassy in Berlin. Guests watch a preview of the new MTV Unplugged DVD, followed by a talk with Morten, Magne and Paul moderated by Jo Nesbø. 2017, October 5: Morten holds his first ever live Twitter Q&A and responds to fans' questions with short video answers. 2017, October 6: 'MTV Unplugged - Summer Solstice' is released worldwide. 2017, October 19: a-ha perform the new acoustic arrangement of 'Take On Me' during the annual BBC Children in Need charity concert in London. 2017, November 17: Fans in many countries worldwide watch a television broadcast of the a-ha MTV Unplugged 'Summer Solstice' concert. 2017, December 1: The studio version of 'Take On Me (Acoustic)' is released. 2018, January 23: The band kicks off their MTV Unplugged tour in Stuttgart, Germany. They proceed to play 13 dates in Germany, Austria, Switzerland, Norway and the UK. 2018, February 14: The 'MTV Unplugged' tour ends with a spectacular finale at the O2 Arena in London, and features a surprise guest appearance by Ian McCulloch, who joins a-ha to perform 'The Killing Moon' and 'Scoundrel Days' with Morten. 2017, November 13: The 'Electric Summer' tour is announced. The tour includes the band's first performance at a jazz festival, a number of outdoor shows in Norway and the UK, and their first ever show in Israel. Soon after, additional shows were announced, totaling 31 concerts in 11 countries. 2018, June 7: The 'Electric Summer' tour kicks off in Canterbury, England. 2018, August 15: During their tour stop in Trondheim, Magne and Paul join Viggo Bondi and Oystein Jevanord at the Rockheim Music Hall of Fame for the release of 'Våkenatt' by Bridges. They hold a press event and album signing for fans picking up their album on the day. 2018, August 27: a-ha concludes their 'Electric Summer' tour in Bochum, Germany.